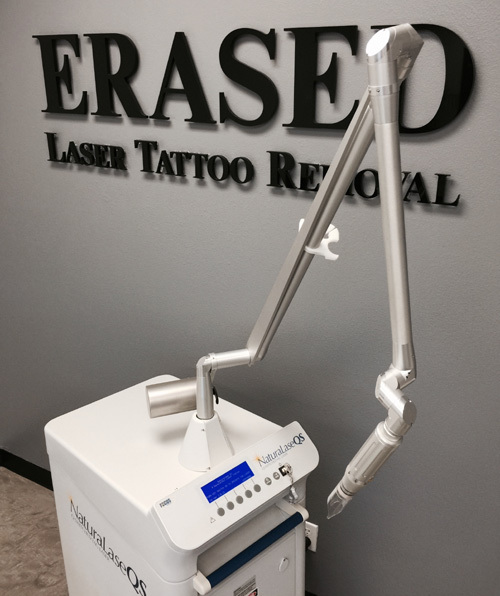 The laser we use at Erased Laser Tattoo Removal is the Focus Medical NaturaLase QS 2J, it is the only 2 joule laser and most powerful tattoo removal system. Treatments with the NaturaLase QS can reduce treatments up to 50% compared to other Q-Switched systems on the market. 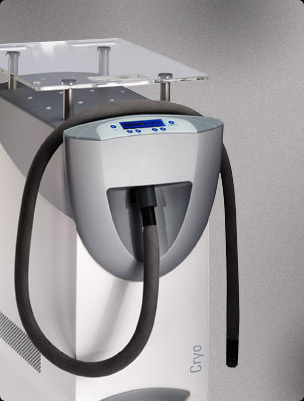 The Zimmer Cryo 6 is a cold air machine that blows at -30 degrees to cool the skin before, during & after the procedure, reducing pain while decreasing thermal temperature. You may feel minimal or no pain at all. We also provide topical numbing cream if necessary.